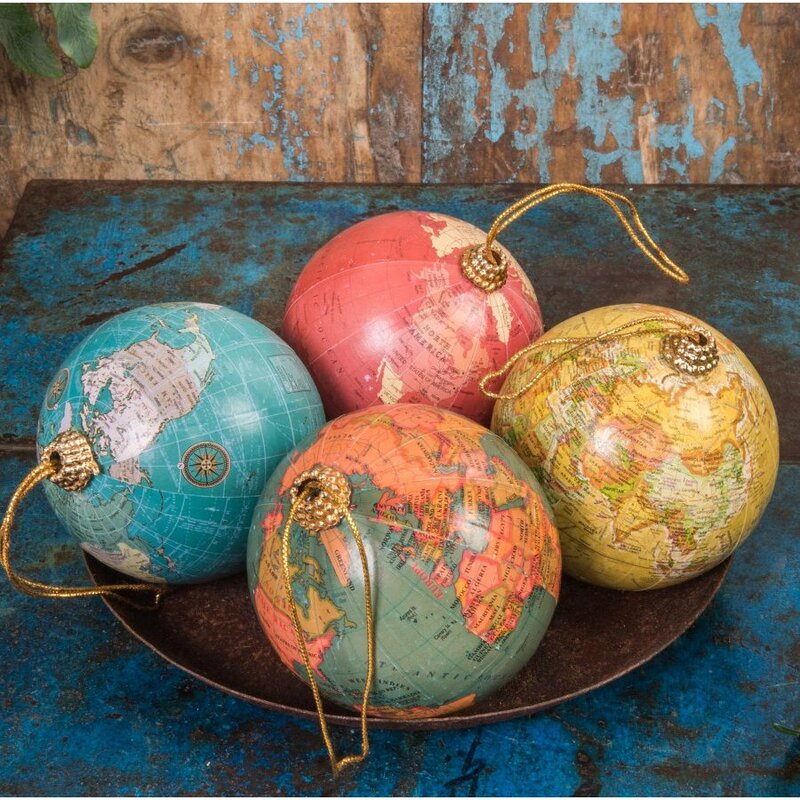 Traditional baubles with a twist – each is an intricately detailed fascinating globe, a great reminder of the world in which we live. Made by fair trade producers in India.Made from plastic with a paper cover. The Christmas Globe Baubles - Set of 4 product ethics are indicated below. To learn more about these product ethics and to see related products, follow the links below. Unusual and interesting design. Larger than I expected. Could hang on tree or around room. Good quality product. 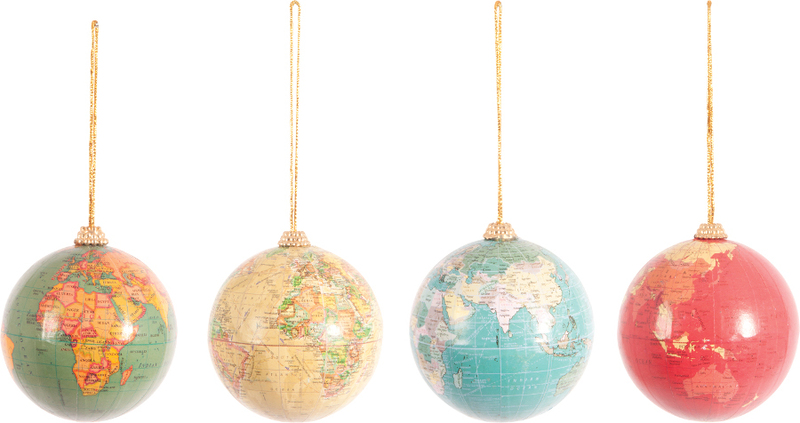 Great fun, given one to each of my grown and flown children for their Christmas tree. 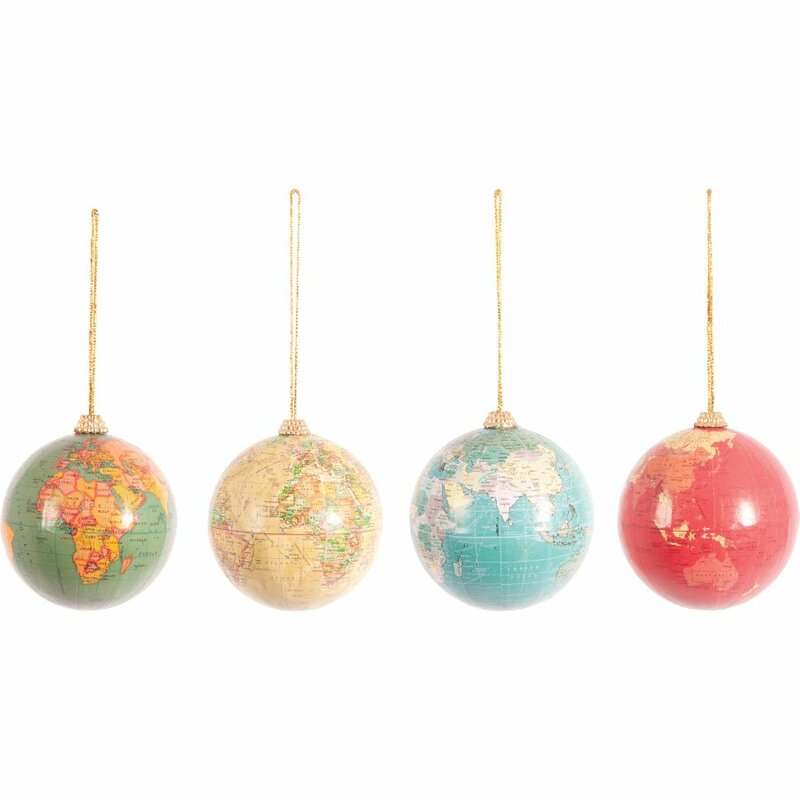 There are currently no questions to display about Christmas Globe Baubles - Set of 4.